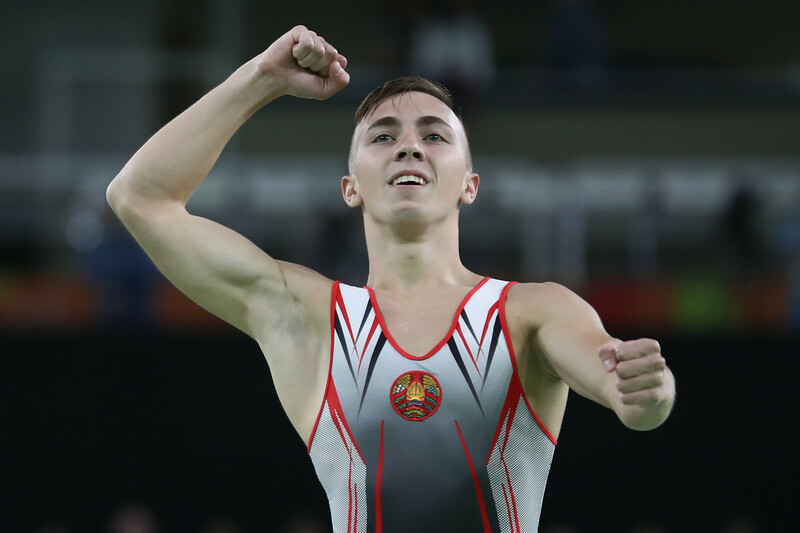 Olympic champion Uladzislau Hancharou took maximum points and the gold medal in the men’s individual event at the first Trampoline World Cup of 2019 in Baku. Having topped the qualification round, the Rio 2016 gold medallist from Belarus scored 61.590 points in the final to win at the Azerbaijan capital’s National Gymnastics Arena. In second was Dong Dong of China with 60.320 points and Japan’s Kishi Daiki finished third with 59.365. China’s Liu Lingling was triumphant in the woman’s trampoline event, scoring 57.050 points. Double Olympic gold medallist Rosie MacLennan of Canada took the silver medal with a score of 56.245 points, while Japan’s Chisato Doihata claimed the bronze with 55.800. Lin Qianqi, the leader after qualifications, finished seventh in the final. Local favourite Mikhail Malkin of Azerbaijan finished second in the men’s tumbling final. His score of 74.600 points was not enough to prevent Russia’s Vadim Afanasev from winning gold, the Russian scoring 75.100. Maksim Riabikov, also of Russia, finished in third, scoring 72.000 points.